Thai roasted chili paste is the building block of many spicy Thai dishes. The roasted chili paste imparts the complex flavors in many Thai dishes, for example: Tom Yum and other stir-fries. While it can be made from scratch, you can buy the bottled version from Asian or Thai grocery stores. One bottle lasts for a while and can be kept in the refrigerator. 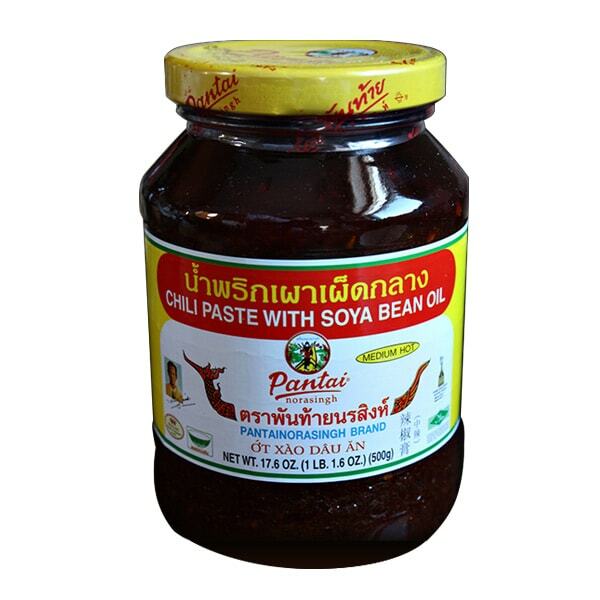 I use Pantai brand Chili Paste with Soya Bean Oil.